Welcome to another episode of The Rabbit Hole. Today on the show we’ll be diving into the topic of building your brand as a developer, where we are going to help you build up your own brand. Joining us to on today’s episode is special guest, Zach Schneider. Zach is the Marketing Manager at Stride Consulting, helping out with a lot of the events that Stride puts on including Coders Who Climb, NYC Tech Debates, and other general marketing initiatives. Inside this episode you are going to learn exactly why it is necessary for developers to build their personal brands today, how to build a following through creating consistent and valuable content, and the value of using speaking engagements to build legitimacy for your personal brand. So stay tuned to hear it all! Why developers need to build their personal brands. Where to start when building your brand as as developer. The importance of providing valuable content to build a following. Tools to help you contribute to your brand as a developer. Why tweeting simply may not be for everyone. How to use your a personal blog to build your brand. Understanding why consistency is crucial when building a brand. Platforms where you should contribute to create valuable content. How to use speaking engagements to build your brand. [0:00:12.2] MN: Today, we’ll be talking about building your brand as a developer. [0:00:15.1] DA: Yeah, you all better respect. Got to respect my tweets. [0:00:17.8] MN: Exactly, respect the tweets, respect my skills on the keyboard. [0:00:22.5] WJ: The brand is strong. [0:00:23.4] MN: The brand is strong, and we’re going to help. We’re going to help you build up the brand and we have a special guest. We have Zach Schneider. How’s It going Zach? [0:00:33.7] ZS: I’m doing good. How’s it going guys? [0:00:35.3] MN: We’re hanging out. Tell us a little bit about yourself. [0:00:37.4] ZS: So I’m a marketing manager at Stride Consulting, so I helps out with a lot of the events that we put on; Coders Who Climb, NYC Tech Debates, and then just general marketing initiatives for Stride. [0:00:48.8] MN: Awesome. We could just jump right into the topic of building a brand and I’m just going to come out and ask, why? Why would someone want to – I’m a developer, I’m amazing at what I do and only the people around me know that. Why do I have to build my brand in 2018? [0:01:04.3] ZS: For sure. I mean, let’s take a step back; what does it mean, like what does a brand mean to you guys? [0:01:09.6] DA: That’s a good question. [0:01:10.9] WJ: I think it’s a hot piece of metal. [0:01:15.9] DA: It’s like Cheerios or Coca-Cola. [0:01:19.8] MN: Yeah, I mean, Dave mentioned Coca-Cola and like a brand is like something that you can identify from far away and know that that is a product that you would vouch for or like, you would go and get because you know it’s good stuff, good Coke or like Pepsi and whatnot. [0:01:38.4] ZS: Right, yeah. So there’s definitely great brands, there’s aspirational brands, companies like Coca-Cola and Apple are all brands that are so ubiquitous around the world and then there are other brands that are vilified. I mean, for some reason, ENRON is like the only thing that’s coming to my mind right now but like that is a brand. [0:01:58.0] DA: Yeah, well, the Cambridge Analytica. No longer a thing but existing under a new brand. [0:02:05.8] ZS: Right, so there’s a lot of things that go into a brand. I mean, obviously, for an individual, you don’t want your brand to be akin to ENRON. You would want it to be something more aspirational, something that people look forward to or look up to or want to emulate. [0:02:22.4] WJ: Or, you could just change your name. [0:02:24.0] ZS: It could be. Zach Schneiderman. [0:02:25.9] MN: There you go, Zach Schneiderman, this guy. [0:02:29.1] WJ: Just in case you ruin your personal brand. [0:02:30.6] MN: There you go. Then, at the end of that, Schneider dude, we got it. [0:02:35.5] DA: Schneider dude, be the aspiration. That’s truly aspirational. Be the Prada of developers, so chill. [0:02:41.6] MN: Having an identifiable brand associated to you is important, why? In development. [0:02:49.0] ZS: Building a brand for yourself affords you the opportunity to be identifiable. People know what they get when they interact with you and you know, I think with the — we have access to the internet; we can tweet, we can post, we can share, we can like and that is making it so much easier for people to build that online identity and that online brand. [0:03:17.9] WJ: But why would I want that? I mean, can’t people just get to know me in person when they meet me? [0:03:20.9] ZS: That’s a great point. It’s not for everyone, it’s definitely not for everyone. But the purpose of building a brand is for someone who is really wanting to build out that reach, build out influence that thought leadership, you know? The ability to have an impact to the community or be something above the code that they put, you know, behind the scenes they want to be someone who can contribute back to the community, that can engage with people outside of the code and there’s so many benefits that come into that. I think we’ll get to a few of those points of how you can do that. [0:03:57.8] WJ: I think probably the main benefit would be that it’s easier to get a job, right? Or that if you get a job, it’s easier to get more money. [0:04:03.9] DA: I guess also like going to school is kind of part of like getting that brand, right? When you’re on the resume, if you go to a good school that has a good name, then that kind of rubs into you a little bit like, “Oh, you know, I went to Rutgers State University.” Reliable. [0:04:29.8] WJ: Rutgers is a good school too. [0:04:32.2] ZS: That’s so spot on. It’s credibility. You know, you feel comfortable and confident that that person knows what they’re talking about. [0:04:51.1] MN: Ah I see. I imagine that people can leverage that. You’re not going to – you probably will interview Martin Fowler the way you would interview someone else. [0:05:01.2] WJ: Martin Fowler interviews you. [0:05:02.8] MN: Yeah, exactly. That’s exactly what happens. He doesn’t need to go into a new company and get interviewed, he’ll have a conversation on how he can become, use his brand to the next company he moves forward. [0:05:15.9] ZS: Right, and look what he’s doing for ThoughtWorks right now. He gets so much traffic to his website and he’s able to syphon off some of that traffic and bring it back to ThoughtWorks. He’s probably making a pretty decent buck just because of what he puts out and who he’s associated with. [0:05:34.2] WJ: He gets to be developer famous. [0:05:35.2] DA: Developer famous. Oh yeah, what would Sandi do? [0:05:38.3] MN: Yeah, what would Sandi do? WWSD. [0:05:42.0] WJ: Matching tattoos guys? [0:05:43.5] MN: No, I think just the other day, we saw someone left a bracelet on the table and I was like, “WWSD, what is that?” It’s really not Jesus because that’s an S, it’s not a J, what would Sandi do? What would Sandi Metz do? [0:05:58.5] DA: Yeah, it took us a moment to put it together but you know, that’s the brand right there. [0:06:02.9] WJ: That’s excellent branding. We should all come up with bracelets for ourselves. Does that sound — does that check out? Is that how we do this? [0:06:07.5] ZS: You know what? [0:06:10.8] WJ: Oh god, that’s too many W’s. That just sounds like a website. [0:06:16.0] ZS: I’ll allow it. I think there’s some potential there. [0:06:23.4] DA: Stickers, merchandising opportunities. [0:06:26.1] MN: Yeah, T-shirts maybe, who knows? [0:06:28.8] DA: T-shirts. Oh Bobby, the T-shirt. [0:06:29.7] WJ: I’ve always wanted a T-shirt canon. [0:06:32.6] DA: Bobby the flame thrower. [0:06:34.8] MN: Bobby the flame thrower. A T-shirt canon, that would be dope. Zach, do you have any suggestions on how someone can start as a developer to start their brand? [0:06:44.5] ZS: There are a lot of different ways you can start. If you really enjoy going to events and conferences, you can look at Meetup.com or Eventbrite and see what’s going on in your general area, you can apply for some conferences. I know Dave, you spoke at a few conferences I think, right? [0:07:00.1] DA: Yeah. That was pretty fun. It was actually a lot easier than I thought was going to be. It took a lot of prep work but, you know, if you have an idea, it’s pretty – it’s not too hard to like get it out there. [0:07:10.4] ZS: Definitely. That’s a great way of getting out there and really having a lot of reach over a lot of people. But you don’t have to necessarily go out and speak to people, you can write content online, you can tweet, you can just provide value and that’s the bottom line. As long as you’re providing value regardless of the medium, regardless of if it’s in person or if it’s online, that’s really how you start building your brand. [0:07:41.8] WJ: I thought it was all about like good color schemes and stuff? [0:07:47.1] MN: Like a sweet display picture on your Twitter but then never use it. That was me like a couple of months and then I actually started tweeting some stuff. [0:07:56.0] ZS: Well, it’s authenticity, right? No one wants to hear an identical person trying to emulate someone else. You want Bobby. [0:08:06.8] ZS: You expect Bobby. [0:08:09.2] DA: So you would say that just setting up my LinkedIn profile and getting to you know, 100% completion or whatever they describe as being a complete profile and I finally did it, that’s not really a brand. [0:08:23.6] ZS: No. I mean, you’re establishing your digital presence, people can find you online but you're not putting out content that is going to gather a following. You haven’t done anything outside of just contribute to your online portfolio of your profession of what you’ve actually done. A really easy way of getting started is creating a blog and writing down your sort of – your predicaments; what’s going on in your life from a career standpoint and how you struggle and how you’ve overcome challenges and really try to articulate what you’ve done that may be would be valuable to someone else. [0:09:04.6] WJ: One thing I really like to do is Stack Overflow posts. If you have an actual question, a technical issue that you’re working on that there isn’t this Stack Overflow answer for, taking the time to write out the problem helps you think through the problem and may lead to a solution. It may get you an answer to someone in the community you might know and it could become reference material for yourself later. In the whole while, you’re building a personal brand because you’re putting out content and people see your Stack Overflow score. You can get jobs and higher salaries out of that. [0:09:34.9] DA: Yeah, like a friend of the show Dane, Dane O’Connor. [0:09:38.4] WJ: Yeah, that guy, I’m so jealous of his Stack Overflow score. [0:09:42.2] DA: He’s got like just mounds of gold and platinum. [0:09:46.3] WJ: You get like more permissions as you get a higher score and can do more admin level stuff, like editing other people’s posts and like approving other people’s edits and he is, I think it’s at like 25,000 points you unlock all of the features. [0:10:01.5] MN: He got that? [0:10:02.0] WJ: Yeah, he’s the only person I know who has it. [0:10:05.4] MN: Yeah, so listeners, definitely go on and get the gold and get the Stack Overflow gold. One of the things that I imagine a lot of developers do is you know, they spice up their GitHub with open source projects they’re currently working on. Whether it’s other open source projects that they’re contributing to or their own personal projects that they can point to and say, “Hey, I know how to code, go check out my GitHub,” is usually like a way I’ve seen like developers brand. But it’s very interesting, as you mentioned before, about blogs posts, Stack Overflow and tweeting that also helps contribute to your brand. [0:10:44.1] ZS: 100%. If someone is just getting started into this, I feel like everyone has heard of Twitter or Medium by now. Those are really great avenues to sort of just document what you’re currently going through on your career and what sort of technical challenges you’re experiencing and maybe writing up a Medium post about something that you’ve overcome or something, a new technology that you’re experimenting with. [0:11:10.8] WJ: I think also coming in being interviewed on podcasts, really good popular podcasts — I’m not getting any right now but maybe you can. [0:11:22.8] WJ: Great way to get your personal brand out there. [0:11:24.4] ZS: That’s true. I mean, that’s what we’re all doing here right now, right? [0:11:28.5] DA: I feel like, I don’t know, I wonder sometimes if I have a personal brand. I’m like, we’re here, we’re talking on a podcast but it’s – I don’t know? I’m not like hustling, I’m not like, getting the Twitter followers or the likes or what have you. [0:11:44.3] MN: Or passing out T-shirts or wrist bands and stuff. [0:11:50.3] WJ: Man, here, here’s a fist bump. [0:11:51.8] DA: I appreciate that. I’ll take that and hold that with me. [0:11:54.6] MN: But I do think that it’s still contributing content at the end of the day, as Zach has mentioned. Your personal brand right now is you on the Python game series, like there is no debate about that. You went to Italy for Python. [0:12:06.6] DA: Yeah, I don’t know. I think it goes back to what you are saying about contributing back to the community and being willing to just put it out there into the ether and not really get any feedback, necessarily. [0:12:19.0] ZS: Right and if you really want to capture that feedback, you really have to, more or less, have a digital platform. Whether it is Twitter or it’s a forum that you contribute to and people know your username or whatever it might be. I think that is a great way to get started. [0:12:36.1] MN: I am a developer, consultant and my life is way too busy. I can’t tweet. What do you say to that? Is it possible? Should I fit it into the schedule to tweet while I am getting ready for the train or I know people drive that could be a little difficult for people to spend time on Twitter. [0:12:55.6] ZS: Yeah, I mean if you have to force it, if it doesn’t make you happy, if you don’t enjoy doing it, don’t do it, you know what I mean? It’s not for everyone. Sometimes you know as someone who is in the field of marketing, I feel like there’s an obligation to be posting more and things like that and sometimes I’m just like, “I can’t come up with anything good to talk about so I just don’t even bother.” But really, if this isn’t your thing, if you are not interested in this it is not for everyone and I think that is really important to realize. [0:13:23.9] MN: Right, the benefits as we mentioned before is more exposure and giving back to the community, potentially more money and easier interviews as we mentioned before as one of the many reasons why one would want to do this. [0:13:33.5] WJ: And because of the fame monster. [0:13:35.2] MN: And that’s developer famous, yeah the fame monster. [0:13:39.0] DA: Just to be the next Sandi Metz. Yeah but I am curious like as a marketing professional, have you ever seen any content that people are putting out there or tweets or blog posts or things that you feel are actually hurt? You look at it and it’s like, “This is actually bad. You’ve actually hurt your brand.”? [0:14:02.2] ZS: Yes and that is, more is not better and I think as long as you are able to distinguish the fact that that tweeting for the sake of tweeting is not going to provide value. At the end of the day identify things that people resonate with and try to provide value and that is how you can circumvent just garbage content or just posting for the sake of posting. [0:14:29.2] MN: Oh yeah, no that is why I use Twitter just as a brain dump when I try to say something and that is it. So I’ve got to tweak it a little bit and make it more professional here and there, keep it authentic though. [0:14:40.6] DA: You’ve just got to retweet Dan [Avernoff]. [0:14:42.9] MN: Yeah, no I was talking like it was a ton. I’ve got to follow Sandi Metz and retweet her often. That’s what I’ll do. My Twitter is @googlemike if you guys are all interested in seeing some craziness. [0:14:53.3] ZS: Some quality content. [0:14:54.3] MN: It’s just a wide range of Street Fighter II memes or like Go-Vo or like STEM For Kids, definitely that kind of stuff. It’s just strange. It’s a strange space. [0:15:05.5] DA: Yeah, I have been following you lately. I have kind of just been lurking but I want to engage, I want to get out there. [0:15:13.6] MN: It’s all good. I’ll be more than happy to reply. But yeah, I mean I wouldn’t say I am not saying anything that is hurting my brand but I don’t think it is helping. So I’ve got to figure out ways to better tweak the brand. [0:15:24.4] ZS: Yeah, just stay authentic, be yourself. So Dave I know we talked a little bit earlier about you speaking at conferences and I am curious, like in general, how is everyone here been building their brands? [0:15:35.1] MN: I mean, me outside of the Twitter that I mentioned before, I did go the route of like personal blogging. Because a lot of the times I find myself learning something and knowing that I am going to forget it. So I think we mentioned earlier where you Stack Overflow to ask a question or bookmark a question per se. Me, like the one blog post I go back to is De-Structuring in Java Script. I always forget for some reason how to do that. So a combination of my personal blog and the bookmarks that I keep for Stack Overflow is something that helps me build up the brand of my knowledge and the things that I know. [0:16:39.0] DA: Have you been good at keeping up your blog and posting on a semi-regular basis or? [0:16:46.1] MN: No. That is something that I have been slacking on. I know that it’s good because of that de-structuring post has helped me, I should do it more often. It’s just like, it does take a lot of time to generate that. [0:16:57.4] ZS: It does. It is a commitment, but consistency really does help with building a following and a group of people that can learn more about the stuff that you are doing. [0:17:06.0] WJ: Yeah, I think that is the hard part. I remember when I first started blogging I thought of it much of the way that you did, Bobby, where when you learn a thing that you want to be able to remember and refer back to that is the perfect material for blog post. But what I found is that I don’t have those moments often enough and when I do have them and I don’t have the time to stop coding and go and write them up and so I started trying to use deadlines to push myself forward more and I switch to speaking. So I started first signing up to talk at a meet up, which is lower stakes and then once you have bothered preparing for a meet up you now have content and then you can take that and apply it to conference or something larger. So I spoke at LibertyJS, I spoke at RailsConf and I think that ended up actually, I burned down on that for the same reason, which is just like, the consistency is hard. But the only thing that I’ve been able to consistently do for my brand is the podcast, and the reason is because I get paid to do it. So I think that’s the key, if you can get paid to do something in a way that helps you build your brand then go for that. So if you can talk to your company and find something that they value that you could do and put your name on, its 100% worth it. [0:18:19.4] ZS: Right, I think Stride does a pretty good job at encouraging content creation and the ability for Striders to build a brand, right? [0:18:28.3] WJ: Yeah so if you run a company and you are trying to get top-notch developers this is an incentive you can use to get them. Offer this kind of professional development. [0:18:35.9] MN: There is definitely other organizations that also would love to get content. It benefits both people. The company benefits from the content that gets written and the person has the ability to write the content, gets the — I don’t want to use the word “fame”, but they get the notoriety of being able to blog post under their organization, which is pretty cool. So if your company doesn’t have that you should talk to your manager and see how you can get that because I think distributing content is a way to build your brand and as long as your name is on it that’s what’s important. [0:19:10.9] DA: Yeah, for me I just try to take up space on the internet and like stake my claim. Although I am not very active like I have my domain with my blog with five posts on it. I have my Twitter account with five tweets on it. I have my GitHub account with my five repos on it, you know? Like so just staking of all of those different things out and making them reasonably reflective of where I’m at I think is pretty good. [0:19:45.8] MN: Right, so you know if you haven’t tried out the Twitter, write some content, see if your company will help or pay you to write this content because I think that is the most important thing is building up your brand to get the developer fame that you deserve so that you can help bring back that information to the community and help out the community grow and become amazing like we all are. Zach, do you have any final thoughts on building your brand as a developer? [0:20:16.0] ZS: Yeah, I’ve got a lot of different platforms and places where people can distribute this content. I think we’ll just provide them in the show notes at the end. [0:20:23.3] MN: We now have a special segment called Zach Attack. Normally you would have me read something about a particular event that is coming up in the near future, but we have Zach sitting right there for some time. So now, Zach, do the Zach Attack. What’s up? What’s going out? What is going down in New York City? Let us know. [0:20:47.2] ZS: Yes, so we’ve got Coders Who Climb on November 5th. Coders Who Climb is an event at Brooklyn Boulders in Queensbridge. It is a climbing social for developers and technologist to meet, to climb, to eat food. [0:21:02.0] WJ: To question why it’s called Brooklyn Boulders if it is located in Queens. [0:21:07.1] ZS: That’s so valid and their headquarters is in Denver. [0:21:10.9] MN: What? Oh my gosh. Yeah I’ve always had problems reading that card by the way. Yeah, it’s always been confusing. [0:21:55.8] DA: Not in Brooklyn. [0:21:56.9] MN: Yeah, what’s the address? [0:21:59.3] DA: Brooklyn Boulders in Queensbridge. [0:22:00.4] ZS: Yeah, Brooklyn Boulders in Queensbridge. I will provide show notes. [0:22:05.0] MN: The address on the show notes and the website. What is the next one Zach? [0:22:07.3] ZS: The next one is NYC Tech Debates. That is on November 13th. This is a completely free event. NYC Tech Debates is an opportunity for technologists in New York City to discuss a variety of topics and the topic for this month is going to be The Future of Ruby and we’ve got Francis Hwang. He is one of the co-founders of GORUCO. I don’t know if anyone has been to GORUCO. [0:22:31.3] DA: Oh yeah, RIP GORUCO. [0:22:34.6] DA: Oh man, I wanted to know now like, what is the future of Ruby? Why did they close GORUCO? [0:22:41.0] WJ: That is really troubling. That is not a good sign. [0:22:44.3] MN: Sorry for the language when GORUCO doesn’t exists. [0:22:48.5] ZS: Come out and ask him in person, you know? And then the other debater is Matt Jording and Matt Jording is an engineering lead at Flashpoint. He also runs another meet up as well and these are really great individuals in the Ruby community, and NYC tech community and it’s going to be a great debate. So that is completely free, food and beer is provided. For more information, show notes, you know the drill. [0:23:13.8] MN: Awesome, how can people reach you? [0:23:17.5] MN: Yeah. Yeah, well you’ve got a brand I imagine. A lot of people want to reach out to you. [0:23:21.9] ZS: Yeah, you can follow me on Twitter @zrschnieder or just, I don’t know how much value my Twitter is going to provide you all but check out Coderswhoclimb.com and nyctechdebates.com and that’s more valuable for everyone. [0:23:36.6] MN: Follow us now on Twitter @radiofreerabbit so we can keep the conversation going. Like what you hear? 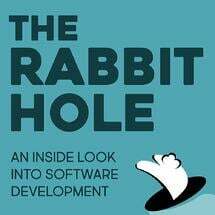 Give us a five star review and help developers just like you find their way into The Rabbit Hole and never miss an episode, subscribe now however you listen to your favorite podcast. On behalf of our producer extraordinaire, William Jeffries, and my amazing co-host, Dave Anderson, and me, your host, Michael Nunez, thanks for listening to The Rabbit Hole.